Artists Langlands & Bell were commissioned to design the permanent installation to celebrate the mastermind of many of London Underground’s designs, including the Johnston typeface and roundel. London Transport’s first chief executive, Frank Pick, has been honoured with a new artwork designed by Langlands & Bell, which was unveiled at Piccadilly Circus station today. Pick is widely credited with transforming London’s transport network into a design-led organisation in the 1930s, commissioning famous designs including many of its Underground’s Art Deco stations, the Johnston typeface and roundel. 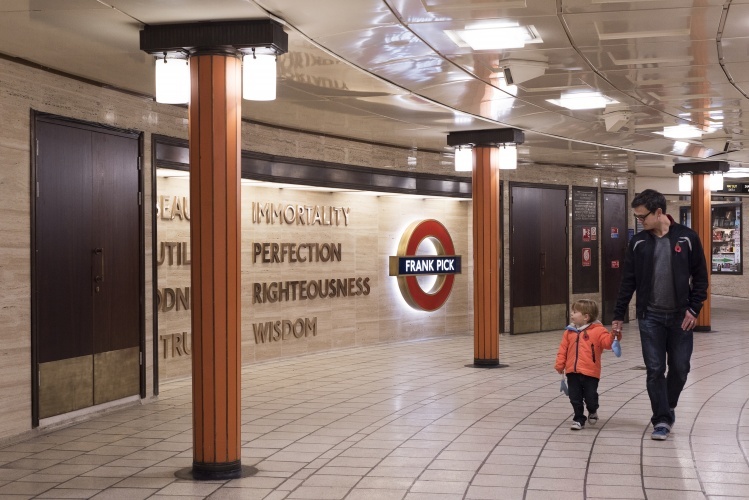 Beauty < Immortality, commissioned by the London Transport Museum and London Underground’s Art on the Underground programme, has been unveiled on the 75th anniversary of Pick’s death. 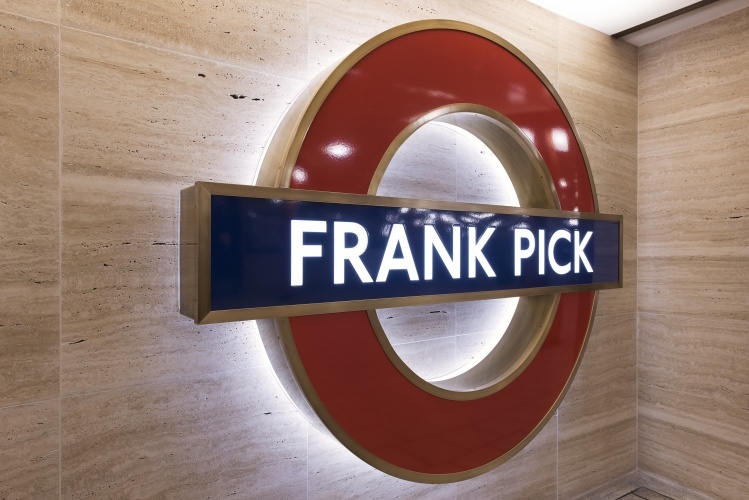 Mounted on the wall of the ticket hall at Piccadilly Circus station (another example of Pick’s commissions), the memorial comprises a roundel with “Frank Pick” written in the centre, and is made of bronze, vitreous enamel, LEDs and marble. Speaking about the choice of materials, Ben Langlands, says: “We were conscious that [Piccadilly Circus] station is very special. 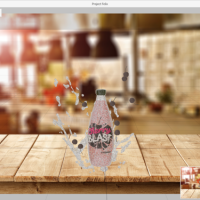 We wanted to work with it, not against it, but we wanted to do it in a modern and contemporary way. 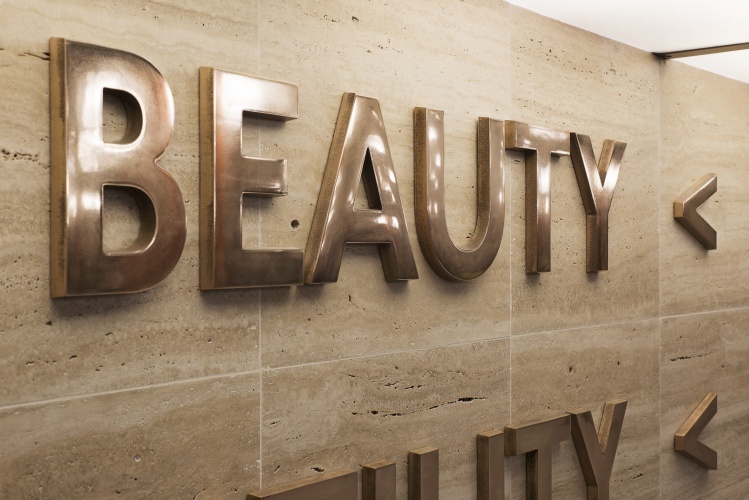 Some of Pick’s own scribblings, found by the artists while researching at the London Transport Museum’s archive, also inspired the memorial and its name: Beauty < Immortality. 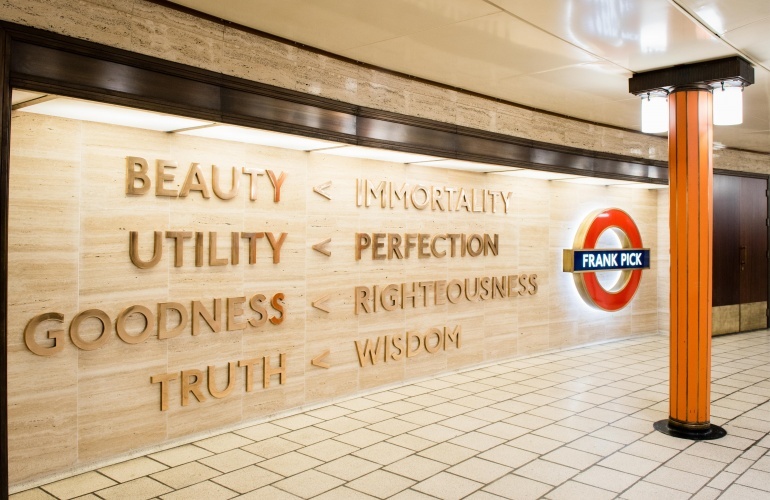 Taken from Pick’s notes, the text featured in the memorial reads: “Beauty < Immortality Utility < Perfection Goodness < Righteousness Truth < Wisdom”, which, according to the London Transport Museum, symbolises Pick’s mentality that “the quality of our surroundings contributes to our own quality of life”. “The museum has a substantial archive at a depot in Acton, so we kind of immersed ourselves in the whole thing,” says Langlands. 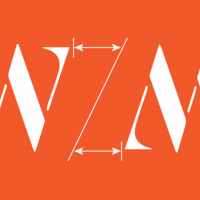 The memorial is part of TfL’s wider 18-month programme celebrating design on London’s transport system, which has included a new iteration of the original typeface commissioned by Pick, Johnston100, and a pop-up festival on Regent Street. To find out more about the Transported by Design programme, head here.